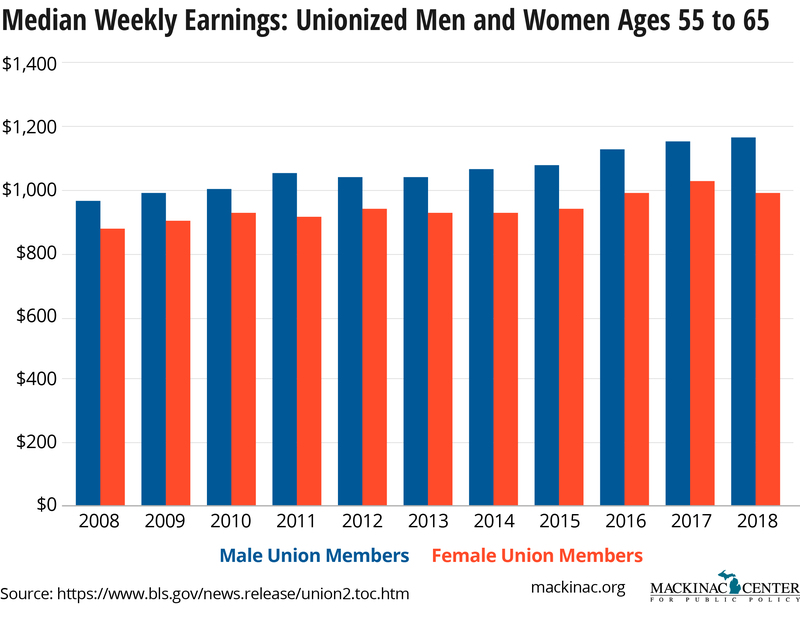 According to the Bureau of Labor Statistics, the difference between median weekly earnings of unionized men and women in 2018 was $155 per week. In other words, unionized women received $155 less in weekly earnings than their unionized male counterparts. That is an increase in the wage gap from $89 in 2015. In fact, this gender pay gap shows up in the data every year from 2008 to 2018. The gap in pay between unionized men and women for middle-aged workers is even larger than the overall average. The pay gap between men and women aged 45 to 54 was $198 per week in 2018, and for those aged 55 to 64 it was $187. And once again, over the past 10 years parity was never achieved in either of those age ranges. UAW leadership doesn’t seem to practice what it preaches by a different measure as well. In 2017, only one of the three vice presidents of UAW was a woman, and that woman — Cynthia Estrada — was the lowest paid of the three. There was only one regional director during 2017 who was a woman. Not much changed looking at the 2018 data. Cynthia Estrada was still the only female vice president at UAW, and she was the lowest paid by over $30,000. 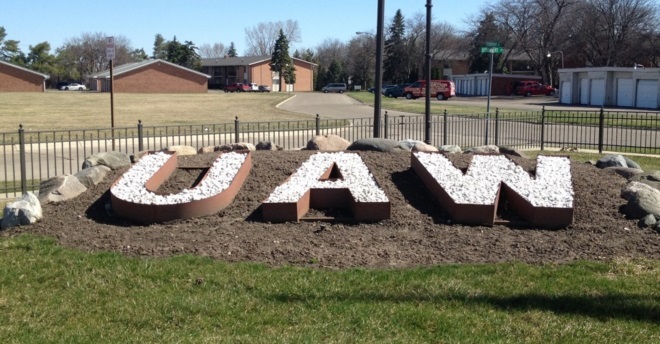 Her male colleague, Vice President Norwood Jewel, who recently pled guilty in the FCA-UAW training center scandal, was paid more than Estrada in both 2017 and 2018. UAW did manage to add a female regional director in 2018, bringing the total up to two during the year. So, what is the takeaway from all of this? 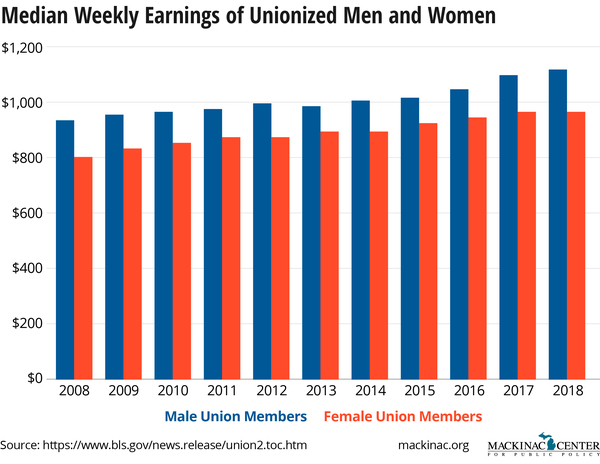 Well, most obviously, it rings hollow that the UAW is claiming that women and men reach pay parity with union representation when you consider that the female leadership of the UAW national office doesn’t seem to be equal in pay to their male counterparts. Unsurprisingly, the UAW has never had a female at the helm of the organization. People have posited different reasons for the earnings gap between men and women. Some claim sexism is the only reason such earning gaps exist, even though that type of discrimination is illegal. Others have posited that the difference in earnings between men and women found in the data is a result of nuanced differences in behavior among men and women. Women tend to be more willing to take less pay in favor of more job flexibility, time off and other benefits. Men, on the other hand, tend to be more willing to work longer hours and forego certain benefits in exchange for a higher salary. 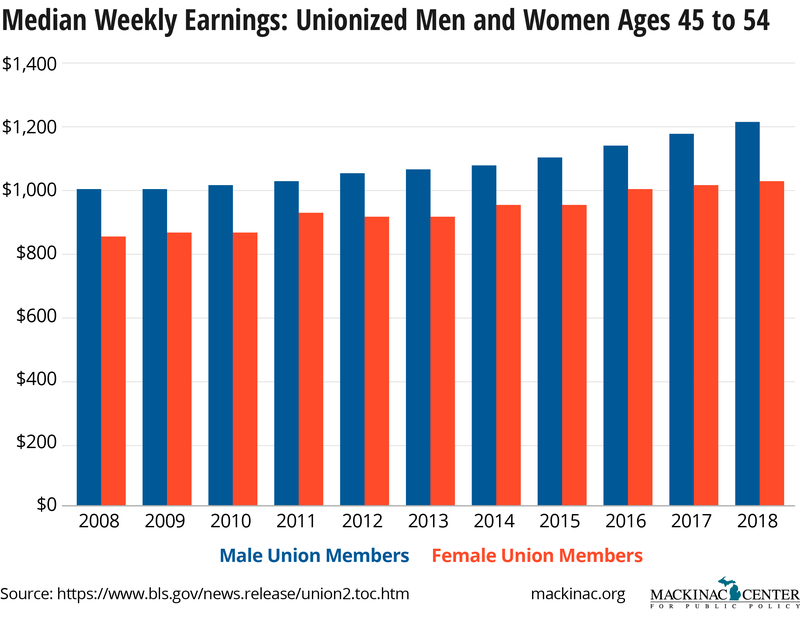 Regardless of why a gender wage gap exists in the data, the UAW cannot claim that unionization is a tried and true method for eliminating it.